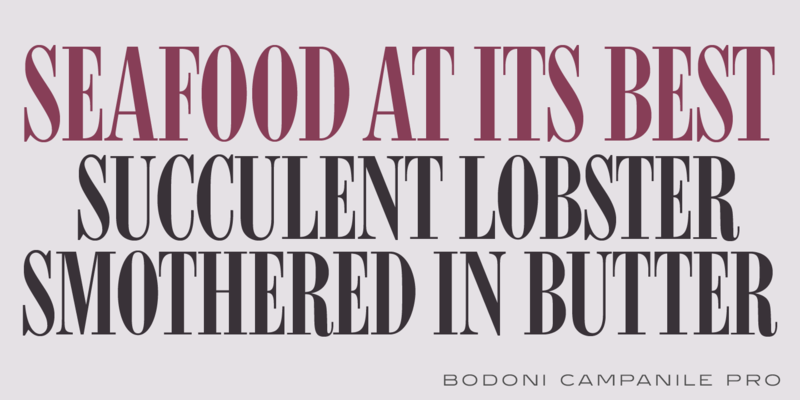 Bodoni Campanile Pro is a font that bridges the gap between a “fat” and a compressed traditional serif typeface. 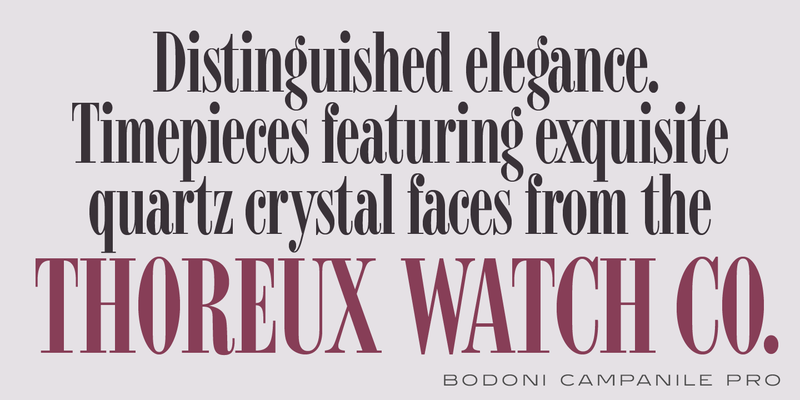 It was originally designed in 1936 by Robert H. Middleton for Ludlow. 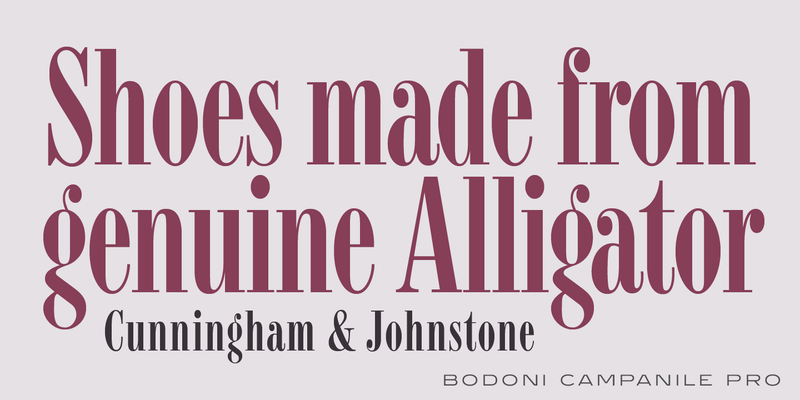 International TypeFounders exclusively licensed the family from the Ludlow Collection, and Steve Jackaman (ITF) produced a digital version in 1998. Jackaman completely redrew the font for its 2017 release. 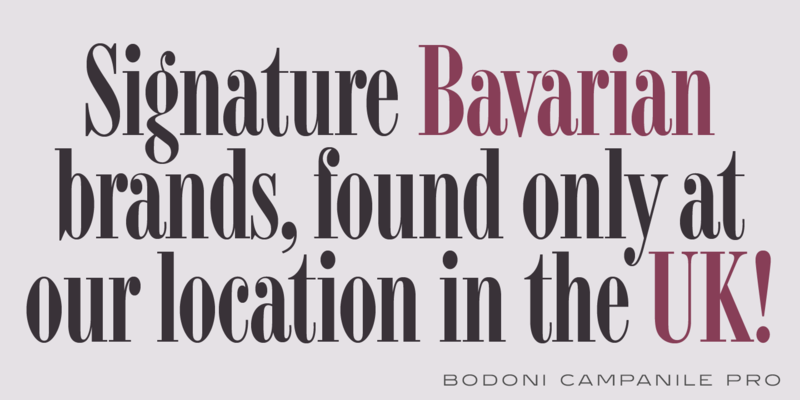 Bodoni Campanile Pro, much like its transitional status as a font, is successful in both formal and casual roles. The free-flowing aspects of the family, seen especially in the lowercase ‘g’ and the leg of the uppercase ‘R,’ give the family an air of elegance. 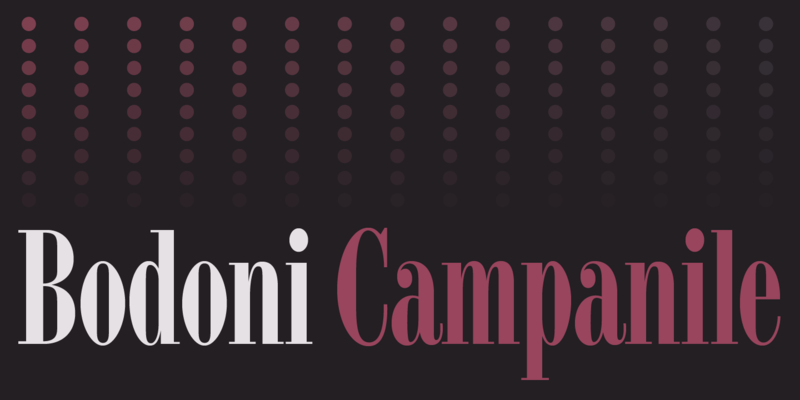 Bodoni Campanile Pro is a trademark of International TypeFounders, Inc.